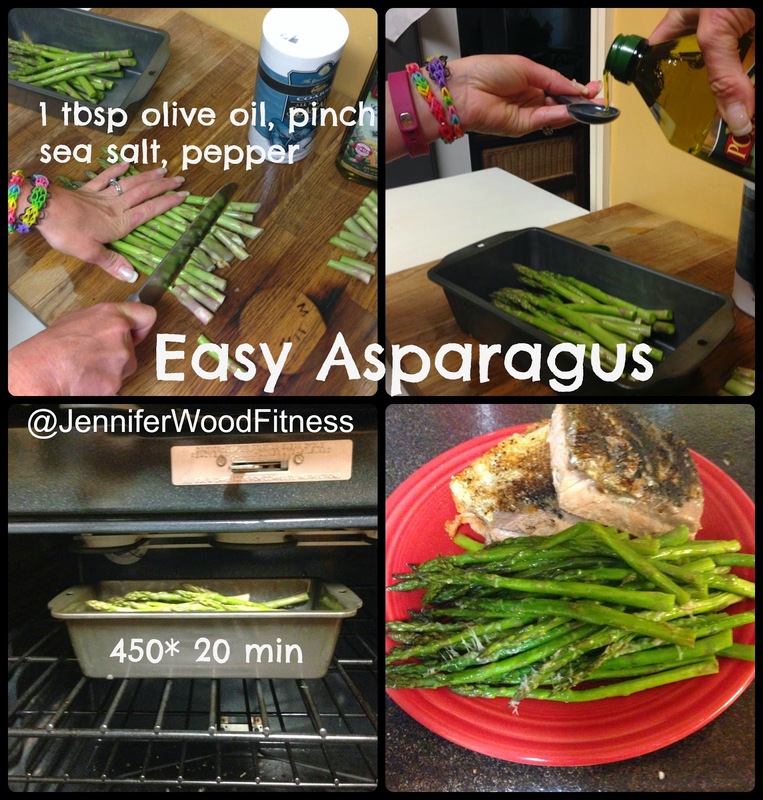 Try this easy asparagus recipe. a few twists of fresh black pepper. Toss to coat in a loaf or baking dish. Cook at 450* for 20 minutes. For extra tastiness add a little grated parmesan to it during the last 10 minutes. Yum! Follow me on Facebook for more recipes, tips and motivational posts.